Energy investors were largely focused on the US jobless claims figures yesterday, which were largely in line with expectations, and were less worried about companies missing their estimates. That sparked a $2.20 rise in Nymex crude to $88.56 a barrel, with a better than anticipated debt sale in Spain also boosting the risk-on sentiment. Slowly but surely gold continued to rebound yesterday, rising $14.7 to $1,391.4, although, despite crossing above the $1,400 mark, it failed to hold onto that level. A report from India undoubtedly helped the bulls as it indicated that demand for jewellery climbed to a record this year. Amid a renewed pullback in the stock market, energy investors got cold feet and resumed their crude oil selling. On top of that, the US Department of Energy showed the overall output increasing to a 20 year high, adding further downside pressure. The session finished with another significant tumble, slipping $2.52 to $86.62 a barrel. With the gold spread trading market now officially in bear market territory after losing more than 20% since its late 2011 record, the precious metal displayed another anaemic rebound yesterday. The market retraced just $6.6 to $1,377.8, with an attempt to push back above the $1,400 mark being easily discarded. Of course, it is also interesting to note that this happened on a day when US equities plunged on bad news. This would normally attract additional demand for precious metals. With an ongoing banking crisis in Europe that seems to produce bailout candidates at regular intervals, it is left to the US economic recovery to rebalance the act, albeit at a slow pace. Better figures for the US housing sector bolstered crude oil demand yesterday, pushing the price of a barrel of US crude oil up by $1.48 to $88.83. 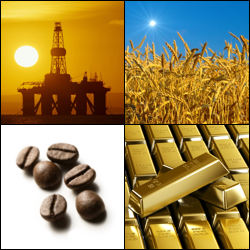 That saved the day as crude prices had fallen to an intraday low of $86.03 during the early morning part of the session. Later today, the US will release its weekly inventories report which is expected to show an increase of 1.2 million barrels. Gold posted an anaemic rebound of just $12.8 yesterday, closing at $1,369.6. This seems pretty weak when compared with the significant losses seen over the last few days. From a technical analysis point of view, the trend is now clearly bearish and, although a continued rebound is possible, it would take a lot of courage to trade against the crowd at the moment. Fears of a drop in energy demand saw the sell off in crude oil gather pace yesterday, as a disappointing growth rate in China rattled the world markets. Nymex crude oil posted a particularly significant drop of $3.54 to $87.36, the lowest level for this year. In the process, the market easily broke below the support around $89.30 and that ease will probably be of some concern for the bulls. Those trying to catch a falling knife after Friday's plunge were in for a nightmare session yesterday as the gold market posted an even bigger drop. The precious metal lost an incredible $129.2 to $1,352.5, the most severe loss for 33 years. This came as a consequence of the same slowdown in the Chinese economy that sparked huge declines across the commodities spectrum. In addition, the move was exaggerated by forced liquidations in order to cover losses in other assets. Friday's disappointing US economic data was the main driver behind a sharp sell off in US crude oil prices, which closed $2.49 down at $90.95. Energy investors were also cautious ahead of the Chinese GDP numbers, released this morning, and decided to square their positions and wait on the sidelines. That turned out to be a good move as the Chinese growth figure came in at 7.7%, below the forecast of 8%, which has put further pressure on the energy sector. The bearish momentum in gold undoubtedly gathered pace on Friday as the market price crossed below the psychologically important $1,500 mark. In a violent nosedive, the precious metal plunged $72.7 to $1,487.8 despite limited losses in stocks and the relative calm on the EUR/USD front, highlighting the fact that the market has lost its appeal lately. Unfortunately, gold's woes don't seem to be over as the downside spiral is still underway this early morning. The International Energy Agency revised down its forecast for global oil demand yesterday to the weakest level in more than a year. Consequently, the price of Nymex crude oil tumbled sharply, losing $1.04 to settle at $93.46 a barrel. This cautious approach is somewhat understandable given that we also saw some fairly high inventory figures reported earlier in the week. The gold market saw a rebound yesterday as bargain hunters rushed in following the previous session's steep plunge. A weaker dollar undoubtedly helped the precious metal, but the gain of only $2.00 to $1,558.4 hardly brought any changes to the current bearish outlook. We saw a steep sell off in gold yesterday, with the precious metal losing $25.8 to $1,558.3, meaning that the precious metal is not far from the recent lows around $1,538. The plunge came after an announcement by Cypriot officials that they will sell gold owned by the state to raise some of the much needed cash to fix their finances. Initially, crude prices slipped ahead of the weekly inventories results, which were forecast to show an increase to a 22 year high. This did turn out to be the case, despite a lower than expected build of 0.3 million barrels against predictions of 1.6 million. However, yesterday's afternoon rally, which added $0.56 to $94.52, was also supported by a sharp rise in indices, signalling that ongoing economic growth should keep crude demand well supported. In commodities trading, the gold market closed $12.4 up at $1,584.2 yesterday, and is still edging higher this morning. With the Bank of Japan engaging in aggressive monetary easing measures, the precious metal has lured in some buyers that want protect themselves against inflation. Gains are still being limited by those attracted to riskier assets, but all eyes are on tonight's Fed minutes which may provide some clues about short-term direction. The $1,600 mark remains a key level for further rises, though any hint that the Fed might cut back on or stop printing money could affect gold negatively. Brent crude oil futures for May delivery are edging higher this morning after closing at $106.20 yesterday. Upbeat Chinese import data helped suggest that the world's second largest consumer of oil is recovering well. The figures bode well for the Brent bulls as imports grew by 14.1%, whilst exports grew by 10%, although crude imports did slip by 2.1% from a year ago. Nevertheless, the price remained supported for now as the main concern is the rate of growth over in the US which many are viewing as fairly weak. Spread trading investors are also keeping an eye on tensions in the North Korean peninsula and as escalation would positively affect oil prices. A rally in equities drove crude oil prices higher yesterday on expectations that a recovering economy will result in increased demand for energy. The $0.49 gain to $93.48, which snapped a string of five consecutive drops, may have also been helped by reports that Exxon had shut a pipeline due to leaks. Yesterday's gold rally was truly short lived as market sentiment shifted back towards optimism in an improving US economy. As a result, the precious metal resumed its slump, losing $8.5 to $1,571.8, as investors were in the mood for riskier assets. US crude prices fell for the fifth straight session on Friday following a bearish US employment report which sounded the alarm bells that things might not be as rosy as previously thought. The crude oil market lost $0.31 to close at $93 but, testament to the downside momentum, the market was already on the way down before the payrolls report was even released. For once, the gold spread trading market attracted investors' demand for asset preservation following a weaker than expected US Non-Farm Payrolls report. The precious metal snapped a three day slump to see a $25.3 recovery to $1,578.7, with the market price remaining around the levels seen since early last month.